Abu Dhabi: Table Tennis may not be a popular sport in Senegal but a special team has landed here for the Special Olympic Games with an inspiring mission — to make the most of the Games — both on and off the table. Yesterday, their six-member squad lit the Adnec Arena with their African dance moves to the tunes of musicians performing at the sidelines where the sporting action was under way. Head coach Abdul Aziz Aidara Diouf led from the front by singing a folk song and his wards followed suit. “Look at the smiles on their faces. What more do we need? Everyone got involved and we created a spirit which is awesome,” exclaimed a determined Diouf, who lost his left arm in an accident at the age of eight. “That incident changed my life completely. From then on, I wanted to be associated with the sport I loved; so decided to coach,” added Diouf, who revealed that the Senegal government was taking strong initiatives to help kids with determination. “There is support coming in from the government and that’s a good sign. What these determined players need is just support. You will be amazed to see how they play table tennis. Some can even put the abled ones to shame,” said Diouf, who also doubles up as the team’s official photographer. “Capturing their smiles is also my passion. I have thousands of photographs that speak a thousand words. Every picture has a story to tell, especially when they are of the determined,” said Diouf, whose ward Abdul Aziz Diagne, despite grappling for words, was keen to speak his mind. 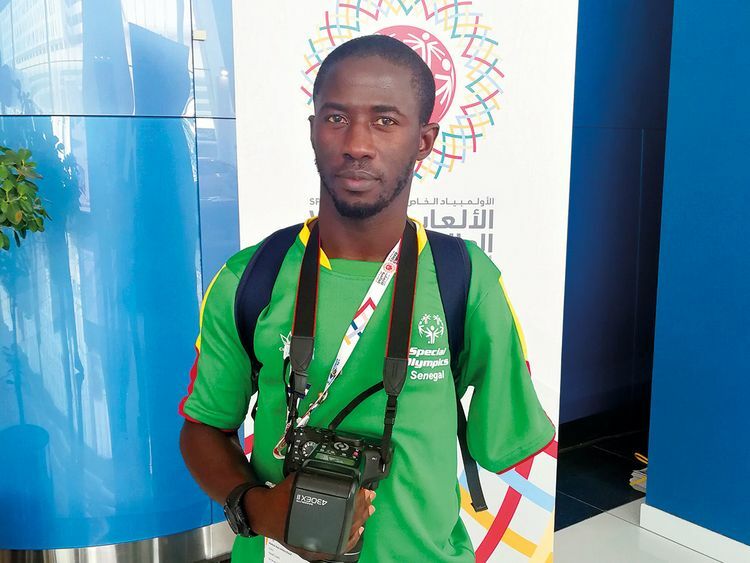 “I love table tennis and I’m fast, very fast,” he said as teammate Mohammad Rassoul Diallo joined in to say, “It is my first Special Olympics and I’m so happy to see so many people,” said Diagne. Other members of the team, Mariama Ndao and Mame Awa Diakhate, have also found solace in the sport from the time they were introduced it. “Once I happened to peep into a room where table tennis was played and I tried the sport, I want to carry on playing,” said Ndao. Diakhate was delighted that the sport took her to places that she wouldn’t have dreamt of.